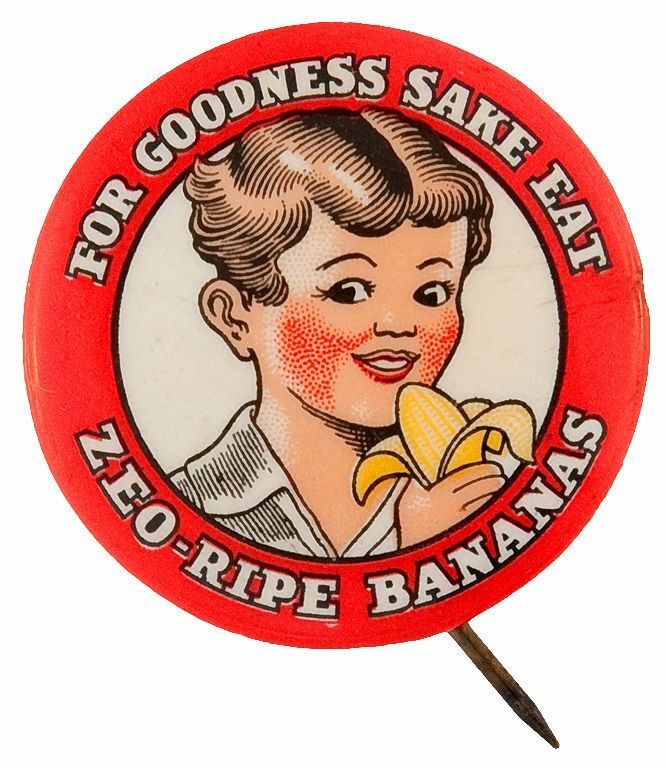 Item Detail - "ZEO-RIPE BANANAS" BEAUTIFULLY COLORED AND DESIGNED AD BUTTON. 1.25" with maker's name Bastian on the curl. 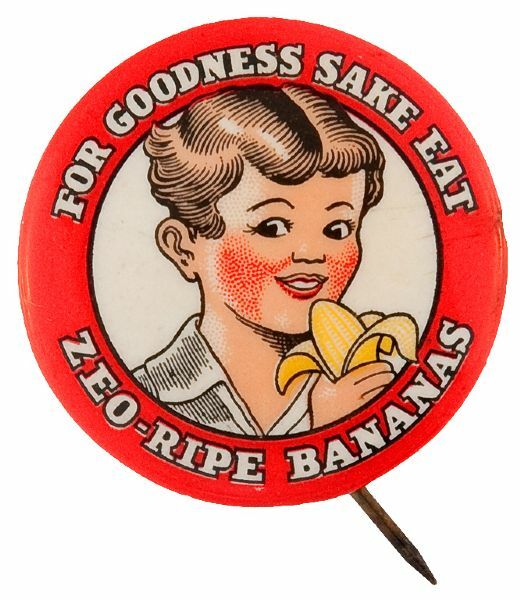 Rim includes slogan "For Goodness Sake Eat Zeo-Ripe Bananas." Right side edge has 1/16" burn mark in the celluloid but only a tiny trace is visible viewed from the front and the mark itself on the side is not that severe. Button retains its great gloss and still displays Exc. c. 1930's and one of only two or three we've seen. Morry Greener Collection.